Now that winter is upon us, men are forced to bundle up. However, you don’t have to sacrifice style for the sake of warmth. With the right accessories, you can add a touch of flair to that trench coat, parka, or bomber jacket. One way to stay warm and comfortable yet still maintain a stylishly look is with a scarf. 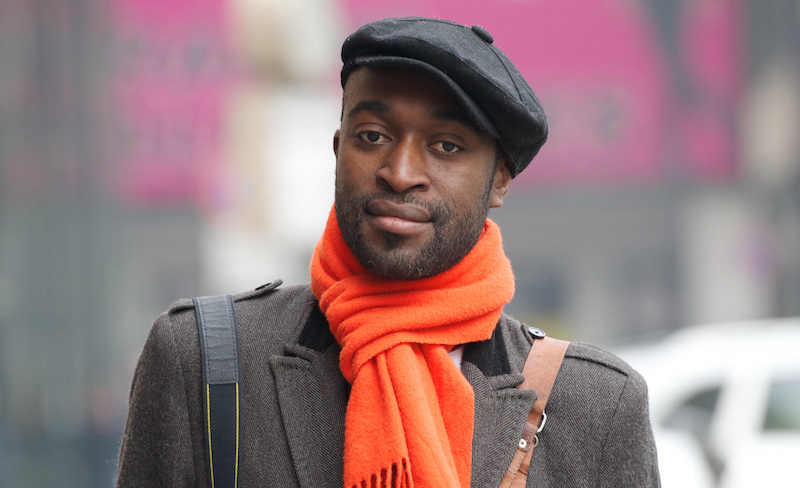 Scarves can accompany any jacket, or be wrapped over your favorite shirt, or suit. Many menswear designers such as Hugo Boss, Tommy Hilfiger, Diesel, Calvin Klein, and J. Crew carry their own lines of scarves with patterns that range from plain and conservative, to unique styles that will definitely set you apart from the crowd. Look for scarves made of warm and soft materials. Cashmere and wool are the two most popular fabrics for the cold months, but men’s scarves can be made from silk, rayon, nylon. If you want a more rugged look, choose thicker scarves with neutral colors such as brown, black, or gray. However, if you’re seeking a more stylish, streamlined look, select scarves that are thinner and more colorful. Remember, the right scarf can give you confidence, enhance your outfit, and show off your winning personality.